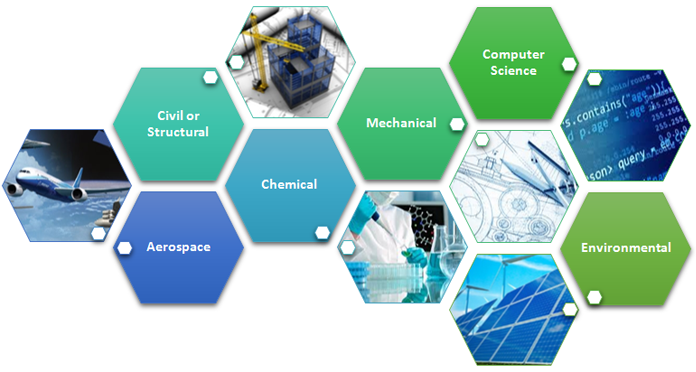 GLOBAL CONFERENCE ON ENGINEERING AND TECHNOLOGY 2016 (www.gcoet.org), will consist of regular and special track sessions with technical contributions reviewed and selected by an international programme committee and as well as keynote talks given by leading experts in their fields. 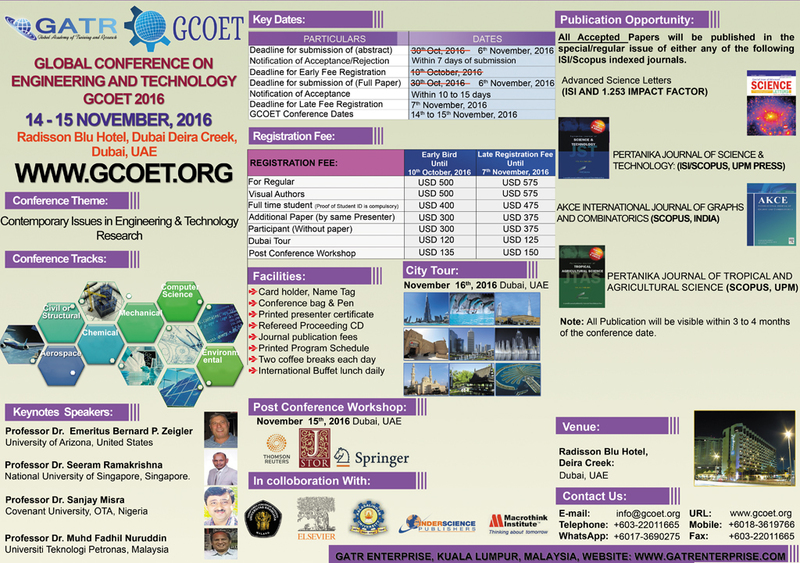 GCOET 2016 is the premier conference for Engineering and Technology community, providing a mechanism for the exchange of ideas and technologies between academics and industrial scientists, and attracts a worldwide audience. The extended version of relevant invited papers presented in GCOET 2016 will be published in peer reviewed Indexed Journals according to the journal publishing requirements.